Palovaara, Naurispuro, Timola, Aittoranta, Mujesuo, Piilola, Jousijärvi, Hetteilä and Louhiniemi. First intensive field program was completed by Mineral Exploration Network (Finland) at Piilola prospect in June and July 2010. 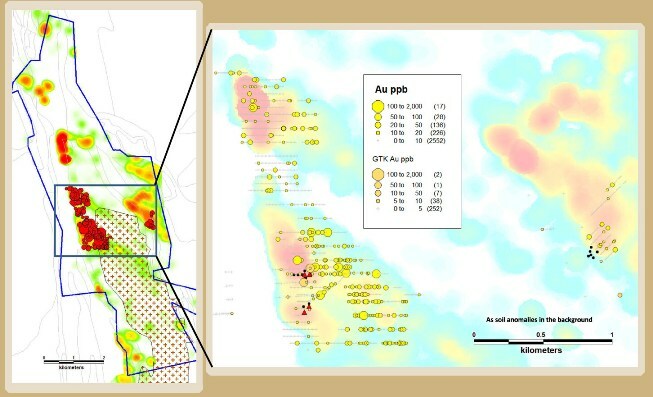 Results have confirmed significant potential of the area for gold and it was considered to be a priority target. In 2012 the total area of the prospects was expanded to 53,17 sq.km. 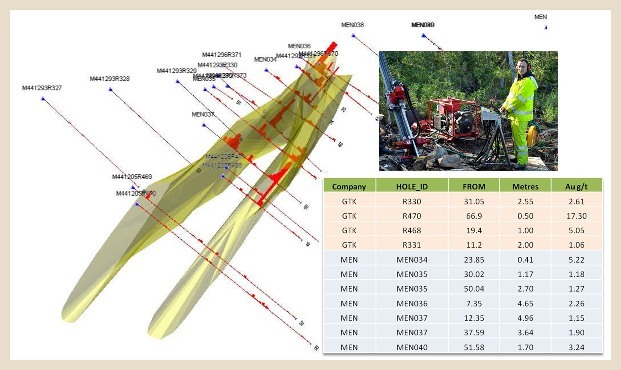 Results of geophysical ground surveys and soil sampling. Prospecting diamond drilling – 47 shallow boreholes. 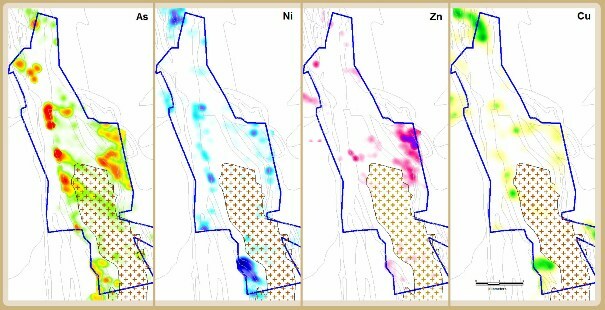 Geochemical assays of drill core from the area done by GTK and MEN Finland Ltd. showed strong spatial correlation of gold mineralisation with arsenic anomalies. Hereupon As was used as informative indicator of gold mineralisation. On the first stage of soil survey samples were taken from horizon “B” on 100 x 10 m grid. As a result several significant arsenic anomalies were localized. They are structurally controlled by the boundary of the greenstone belt (N); and tectonic faults in the granitic intrusion (NW) what is clearly seen on the ground magnetic map (see above). Another related elements such as Ni, Zn, Cu form contrast geochemical zones. Location of the detailed basal till sampling. On the second stage most intensive arsenic anomalies were covered by till sampling using handheld percussion drill “Cobra” on 100 x 10 m. grid. All till samples have been analyzed for gold. 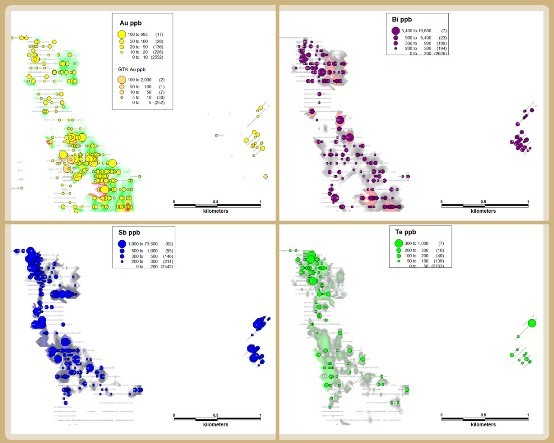 Results confirmed good spatial correlation of gold and arsenic. 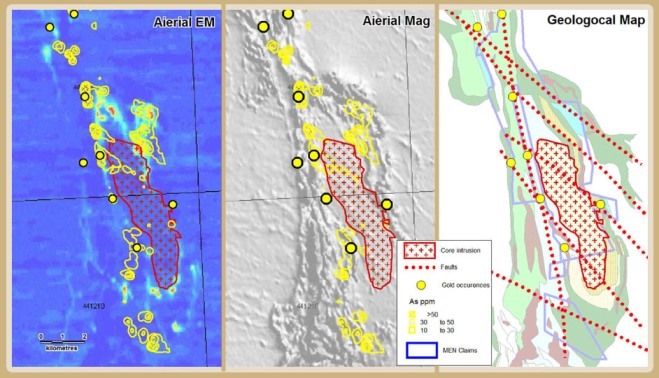 Till sampling results along with areal geophysical surveys allowed to select first-priority targets to be drilled. Results of basal till sampling. 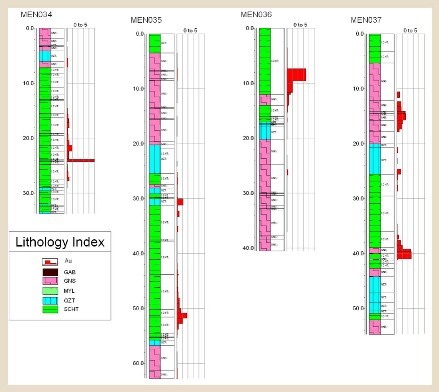 The result of geochemical assay (AA, Labtium) of till samples taken with handheld percussion drill “Cobra” (2038 samples) clearly shows Au, Te, Sb and Bi zonation. Mineralisation is plunging in NNW direction. GSF drill holes had been placed based on previous very limited basal till sampling results and discovered gold mineralisation in the area. А number of intersects with gold grades above 1g/t were indicated. Nevertheless GSF drilling just touched significant gold anomaly at the West flank. In 2012 MEN started prospecting diamond drilling with new men-portable rig Ingetrol Explorer Jr. and confirmed continuation of gold mineralisation. 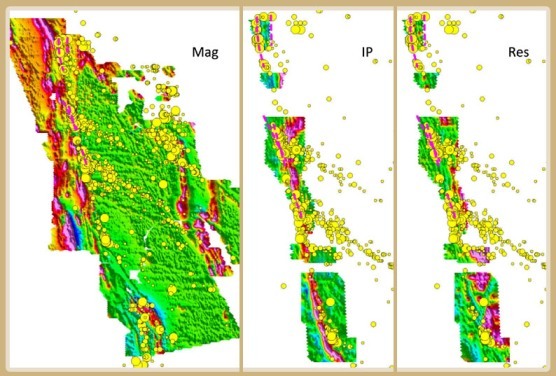 New results allowed to delimit gold–mineralised strike stretching for 25 km within the area. The Fort Knox type of Intrusion related orogenic gold deposit might be an appropriate model for Piilola cluster. 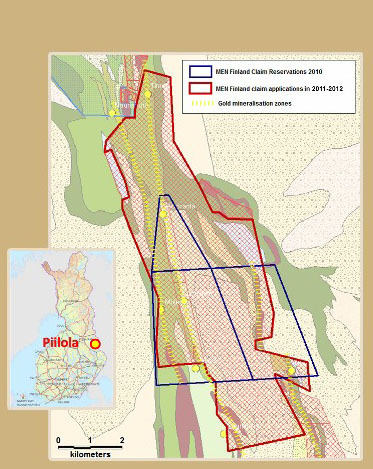 Piilola has significant exploration potential that now could be assessed at the level up to 3-5 Moz of gold. The project deserved intensive scope drilling.